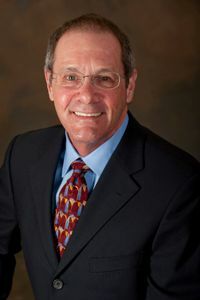 Bill Haas specializes in customized leadership development services for executives at all levels within a wide variety of businesses, from partnerships to Fortune 500 companies. His clients include both for-profit and non-profit organizations. Dr. Haas is particularly committed to executive coaching as a developmental tool and vehicle for sustained behavioral change. He recognizes that increased leadership effectiveness is a cornerstone of business success. Based on both short and long-term business objectives, Dr. Haas develops strategic approaches to assist executives in meeting the challenges of leadership. He facilitates the integration of effective approaches to leadership which support business growth. He works with executives to enhance communication with their teams, in order to advance strategic and tactical efforts. He coaches executives in either a developmental or remedial context. Dr. Haas brings an understanding of organizational dynamics and business needs which inform and shape the personalized work that he does with executives identified as candidates for leadership development. He has over fifteen years of experience as an entrepreneur and businessperson. His background in clinical and management psychology help create pragmatic applications of psychology to business. He works in close collaboration with his clients to create tailored, research-driven approaches to leadership. Dr. Haas is a licensed clinical psychologist. He received his Doctor of Clinical Psychology degree from Widener University in Philadelphia, with a concentration in group dynamics. He is a member of the American Psychological Association and the Division of Consulting Psychology of the American Psychological Association. He holds an adjunct faculty position at Widener University where he teaches courses in executive coaching. He also maintains a clinical practice that focuses on personal growth.